Property 20: Mountain chalet next ski station. Property 24: RENT HOUSE OF VILLAGE IN SKI STATION. 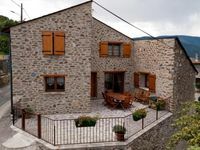 Property 27: Near Ax les Thermes, Seasonal Rental - House 8 people maximum.